We have refreshed Ligonier’s Internet Specials page where you can find a variety of online-only discounts on a variety of resources. Here is a sampling of some of our current special offers. Remember to check back often as the selection changes. Our ideas about God are often too vague or just plain wrong. This series provides an informative and challenging survey of God’s attributes. With the help of several theologians, Johnson and Waters trace the background and development of the New Perspective(s) on Paul and the Federal Vision and how they corrupt the truth of salvation by faith alone. In this collection of sermons on I Cor. 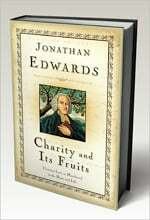 13, Edwards shows that Christians are called to exemplify the great virtue of love through their thoughts and actions. This edition is newly typeset and presented in an heirloom hardback. Predestination is a debated topic. Yet the Bible is clear about the doctrine of election and its importance to our perspectives on God and man, and the nature of their contributions to salvation. Dr. Sproul shows how election is entirely compatible with human freedom, dignity, and responsibility. R.C. Sproul analyzes some of the key Messianic prophecies found in the Old Testament and demonstrates what the Old Testament expected the Messiah to be like and how Christ fits that role perfectly. This recording features the eleven-movement Ceremony of Carols by Benjamin Britten and an arrangement of eight Christmas carols, Dancing Day, by John Rutter. For years, dispensational teachings have flooded evangelical airwaves and bookstores. Are they biblical? Dr. Mathison provides a clear, scriptural critique of this popular movement. The names of God in the Old Testament help us to see various important aspects of His nature. The God We Worship is an intriguing study of God’s character traits as revealed by His titles. Rev. 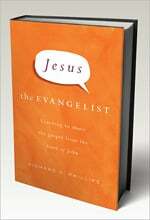 Phillips digs into the early chapters of the Gospel of John to discover principles you can use for Christian outreach that were modeled by witnesses for Jesus and by Jesus Himself. This CD features new arrangements of several Christmas carols, both well-known and less familiar tunes, which are each presented in a style reflecting their own distinctive national and expressive character. It sometimes seems that God is silent, watching the horrors of life on earth without pity or concern. R.C. discusses this very issue—the role of God when the ideas of men collide and wreak havoc.